2664001 SL35B FIAT-HITACHI SL35B Skid steer loader Spare parts catalog. Operation and maintenance manual. Service/Repair manual. 2664002 SL40B FIAT-HITACHI SL40B Skid steer loader Spare parts catalog. Operation and maintenance manual. Service/Repair manual. 2664003 SL45B FIAT-HITACHI SL45B Skid steer loader Spare parts catalog. Operation and maintenance manual. Service/Repair manual. 2664004 SL55B FIAT-HITACHI SL55B Skid steer loader Spare parts catalog. Operation and maintenance manual. Service/Repair manual. 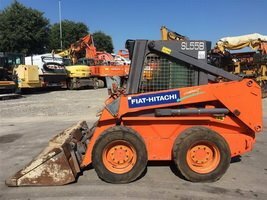 2664005 SL55BH FIAT-HITACHI SL55BH Skid steer loader Spare parts catalog. Operation and maintenance manual. Service/Repair manual. 2664006 SL65B FIAT-HITACHI SL65B Skid steer loader Spare parts catalog. Operation and maintenance manual. Service/Repair manual.